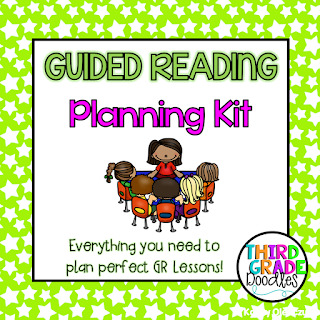 Guided Reading or Strategy Groups? - What to Know! There is a lot of discussion in my school district around small group instruction. We keep hearing that best practice includes "a variety of grouping strategies". 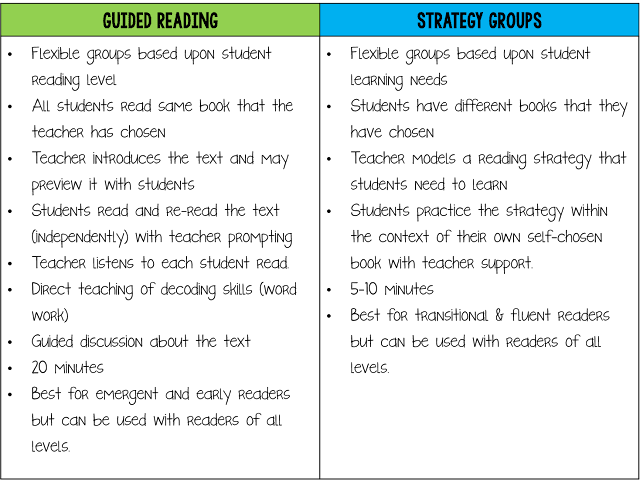 As a teacher, I would sometimes get confused about the different types of "reading groups" and when to use each type, so I thought I'd post about it today, and hopefully clear up some of the confusion! 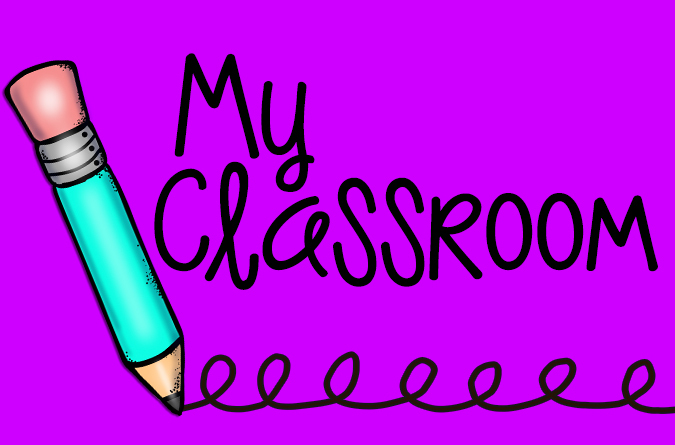 You have probably used all of these types of groups in your classroom and they each have their own benefit. Interest-based groups, book clubs and partnerships are fairly self-explanatory and should be used regularly in your classroom to inspire great conversations around books and other classroom learning. GUIDED READING OR STRATEGY GROUPS? So what about guided reading....and what the heck are strategy groups?? Aren't they the SAME THING? Well...not really. Let me explain. 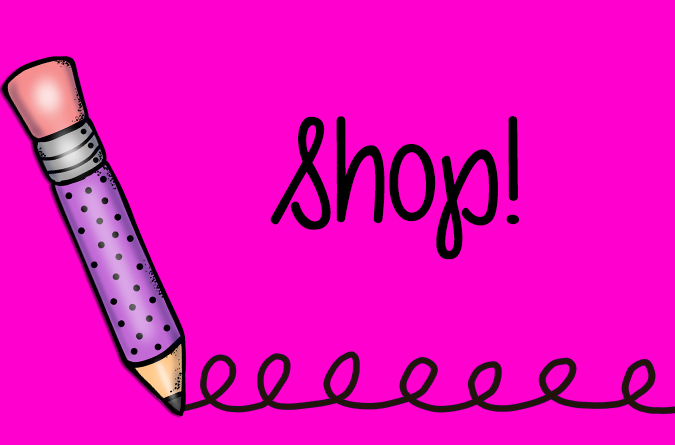 You can get the whole set at my TPT store! So what about strategy groups? Why do I need strategy groups if I am already doing guided reading with my students every day? The first time I heard about strategy groups, it was from the Two Sisters (you know Gail Boushey and Joan Moser). I read their book The Cafe Book: Engaging All Students in Daily Literacy Assessment & Instruction, and was blown away by the idea of reading strategy groups. WHICH ONE SHOULD I USE WITH MY STUDENTS? So the conversation we have been having in our district is when to use guided reading and when to use strategy groups! The answer is not really simple, but let's take a stab at it! 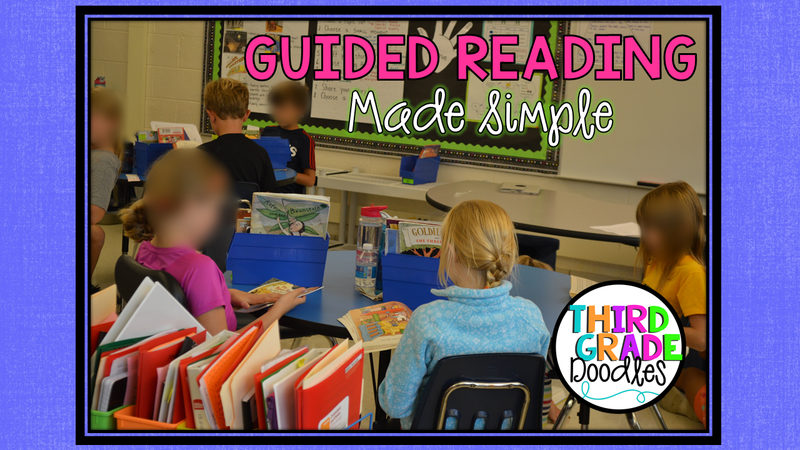 Guided reading is an way of packing the direct instruction of many skills into one compact, 20 minute lesson. Emergent (Levels A-C, and Early Readers (Levels D-I) HAVE A LOT TO LEARN ABOUT READING!! They especially need to learn decoding skills.....phonemic awareness, phonics, spelling patterns, etc. 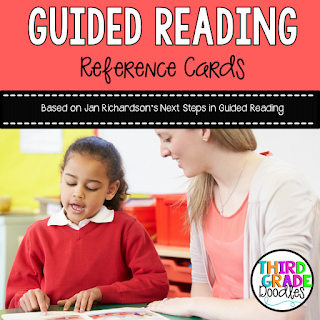 Guided reading is THE BEST way to differentiate this learning for these readers. Transitional readers (Level J-P) are much better at decoding and need a strong focus on comprehension strategy instruction. But.....they are still learning to decode longer unfamiliar words. So, they may still need guided reading, but the lessons will be much more focused on comprehension than decoding. 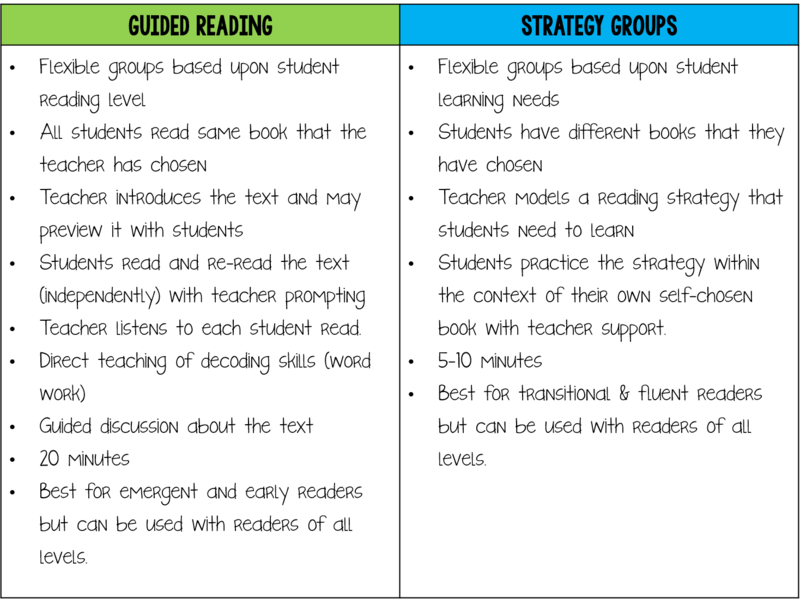 Strategy groups could also be a great way to address the needs of transitional readers, because they will focus on one, very specific, strategy that the students need at that moment to move forward with their independent reading. It might be a decoding strategy, a fluency strategy or a comprehension strategy. Since strategy groups are shorter, you can do them more often, which is AWESOME! So, they are at a tricky level, where you might have to decide which type of group is best for them based upon what they need most. If you have fluent readers (Levels Q and beyond), you should really be using strategy groups and not guided reading. They are really beginning to spread their reading wings and need comprehension and vocabulary strategies to help them to comprehend the much more complex texts they are reading. This is best addressed through short, very focused, strategy groups. 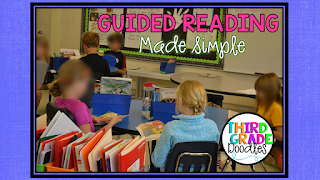 I wrote a whole blog post about guided reading: Guided Reading Made Simple. 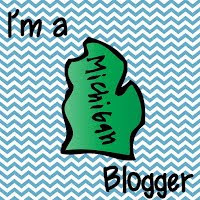 Hope you found this post helpful...thanks for stopping by. 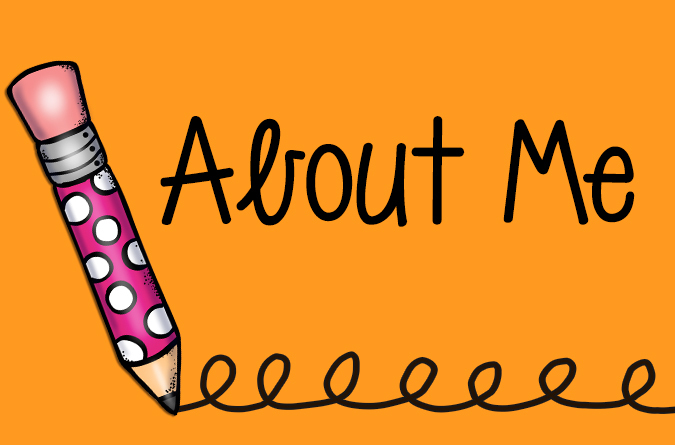 Please feel free to start a conversation in the comments below!